So now that you have read my step-by-step procedure for making smoothies the right texture, without owning a fancy smoothie blender, are you still left with any lingering doubts? Q: This process seems complicated…Why go through all the trouble? Why not just add everything at once? A: This process should work out better than any other technique for making smoothies you may have tried. I know that when I was first starting out, I would usually add everything at the same time, and it ended up being very difficult to blend. Things would get stuck together, stuck to the wall of the blender, weird chunks would form…it wasn’t fun. All you have to do is try it for yourself once and you will see that when dealing with multiple ingredients and a low-tech blender, it’s easy to run into problems. Of course, if you’re making a very simple smoothie with few ingredients, you might be OK just adding everything all at once. But this system is like training wheels…good to start out with while you’re getting the hang of it. Then if you find you don’t need it anymore, feel free to ditch it and move faster. Q: But doesn’t it take a really long time to make a smoothie with this method? I know just from reading it definitely might seem so…there are 5 whole steps, after all. But the answer to this is not really. For one thing, there are a total of 5 steps only if you choose to use ALL the possible ingredients. When you’re just starting out you can probably get by with just 2 or 3 blending phases (fruit & liquid, ice, maybe one other ingredient). Also, each blending phase is super fast. You just add in those one or two ingredients, blend for about 5 to 10 seconds, and you’re ready to go onto the next phase. I find that using this technique actually saves time because it’s a smoother blending process and you waste less time (and frustration!) troubleshooting. Q: This system looks great for typical fruit smoothies and protein smoothies. But does it work for green smoothies as well? It’s true that the method described here is mostly geared towards protein or superfood smoothies, at least the way the steps are written. 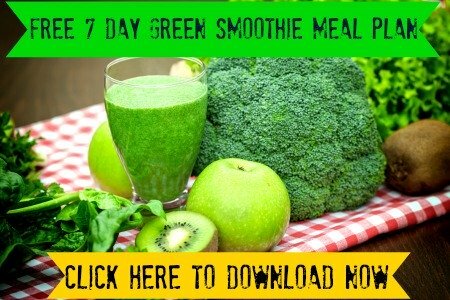 However, this method absolutely works for green smoothies too! The steps are pretty much the same, starting with fruit and liquid. The only thing that changes is that I like to add the greens (spinach, lettuce, etc.) right after the fruit and liquid (on the second phase). I usually don’t use any other powders in my green smoothies, but I do often add other dry ingredients such as nuts and seeds (especially chia seeds!) So the nuts and seeds become the third phase in most cases, followed by nut butter if I’m using it (rarely in green smoothies), and then ice. So it’s the same process, just insert the greens after you’ve blended the fruit & liquid (usually water in this case), and cut out the powders in most cases. Q: What if I am unable to use bananas as a base in my smoothie, due to allergies or because I can't stand them? Bananas are optional, not completely necessary. Click here to read about the best fresh fruit bases for smoothies, including some pretty awesome alternatives to regular old bananas. Do you have your own question to add to this list? Feel free to ask your OWN question in the box below. I would love to hear from you! Your question may even end up being featured on this site. Chances are, other people have the same questions as you. So don't be shy, ask away! Why Do My Smoothies End Up A Powdery Texture?